PAUL NICE and PHILL MOST CHILL (aka THE FABREEZE BROTHERS) are back with more banging beats and ballistic rhymes for your mind! "The Pack Up" 45rpm 7" single is going to be available for pre-order from this coming Friday on their SURE SHOT RECORDS website - make sure you get your copy before they evaporate into thin air. 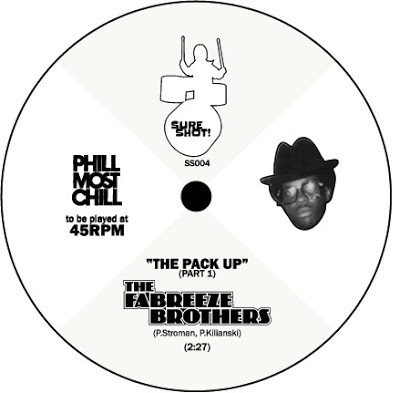 This time around the BROTHERS FABREEZE are also dropping the single on Winter White vinyl for the connoisseurs out there. And with a name like FABREEZE you know this is gonna be the freshhhhhest!